The Co pilot function will be optimized for the packs off procedure. When used it is normal SOP for the PM to switch on the packs one after another (while waiting a few seconds between them) after the PF puts the thrustlevers in the CLB notch. The caution for packs off is modeled like RL so that part will not change. 209 open issues, Mathjis, is that more or less than the last count? Computer programming can open up new issues at each turn, as you well know. When will it stop, Oh Lord, when will it stop? At this moment the list is growing, but that's also because as Project Manager I keep bothering the devs with my 'ideas', lol. Just this morning I added the sound of the oxygen test to the dataset and want that to sound when you do that test. Might be a thing we'll add after initial release though. Regarding the marked point: Is it planned that the new Buses have an integrated update function or external tool or do we need to reinstall it on new releases like in v3? We are not huge fans of every company having it's own 'update' software, but we got something being developed that will make it a lot easier. Keep in mind though that the boxed customers (and we still have tens of thousands) are not as tech savvy as most folks here on the forum. For these people installing a new version is simply the easiest way. Do you mean 1Q2018 with early next Year? & is a Electronic Flight Back in development? Would be great to have one, like in the QW 787.. I'll do an update of the progress after our weekly meeting tomorrow. Just an image to show of the beauty of this model. Do see it as full resolution. As you see the AOC print option of METAR now fully functions. One more factoid from today. Remember that we were talking to Lockheed to have an issue with visitags and click zones sorted out? Well because I was busy I forgot to send them some files they needed to test with. They reminded me to send them. Seems a small thing but Microsoft would probably not even have replied when we had such an issue and Lockheed actually requests the files so they can compile the aircraft themselves and see where the issue is. It is such a pleasure to work with them. Absolute professionals. Just got an email from a befriended busdriver (he flies for an American company). I liked his mail and asked him if I could share it. He gracefully allowed me. Mathijs, long time no write. Wanted to let you know how impressed I am with your bus developments. In my opinion you are one of the few developing teams who is on the right track. Where other companies spend a lot of effort (in my opinion with moderate success, but their customers will never notice) on simulating systems that an average pilot will never forced to use, you focus on letting your customers fly the A320 as I do. Every pilot prints out the weather and make sure it is stuck somewhere where he can quickly look at it. Every pilot puts all the paperwork between the throttle when he is preparing for the flight. Every pilot gets a coffee when he gets to cruise altitude. And above all, every pilot sits in the front office with a person next to him. Pretending that any simulation is serious and 'study capable' if you remove half the crew is simply not correct. 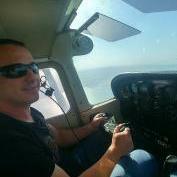 If you want to practise a single engine landing with your co-pilot unconscious I would suggest other aircraft add-ons. FSL is simple better at that. But they are simulating something that in the history of aviation (as far as I know) has never happened. I do not know of any system emergency that was not handled by the full crew. Crew management is way way way more important than a correct MCDU page that probably has never been shown in flight. I'm a A320 pilot, got close to 3000 hours as the master on board. And I think that your prints of the weather (if you get the formatting right) are just a small example of how simulation should develop. It should not try to simulate the simulators we use to train for emergencies. Other than the PMDG 777 (a absolute masterpiece that I know is used by real pilot to practise) there is not a single one that gets even basic non standard stuff right. Fail an engine on any serious add-on and you can start to make long lists of things that are simply not as in the real aircraft. But as YT videos of those conditions are rare and never very clear many flight sim fans believe that what is shown to them is as in the real aircraft. Lucky simmers have been in the cockpit during a landing before 9/11 and might have some reference, most depend on YT as their main source. Go figure. You know what is the main thing we do before go below 100? Clean up the cockpit. Get the trash in the trash bag, make sure the remainders of the food is taken out, stow the photo camera (as you know I am a photo freak), make sure our tie is at least around our necks. THAT is what a pilot does at FL1000. You are so right to go the way you are going. Attached a photo of the weather print. this is great to see and hear about. Must indeed help alot. However if they are so eager to help with the above issue, why havnt they addressed a very fundamental and long standing bug.... The ground friction? They should be focusing on that, and Ive read a number of devs have asked for that to be fixed. No way we should need so much throttle just to move forward. And thats for just about any aircraft. I think people forget that the airline pilot job has more to do with an office job than most of the people would like to believe. "Where other companies spend a lot of effort (in my opinion with moderate success, but their customers will never notice) on simulating systems that an average pilot will never forced to use, you focus on letting your customers fly the A320 as I do"
Totally agree! The problem is that there are a lot of simmers thinking that they know better than real pilots and arguing about failures that they don't have any clue about it or how properly to deal with it. Looks incredible! can't wait to fly this bus! 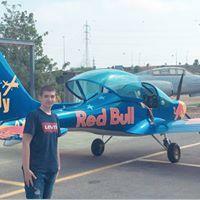 I agree with Gregory, lots of flightsim enthusiasts are thinking that they know better than real pilots and in result, they are saying that the "competitor" company is better and level study because few streamers says that. Great job Mathijs and the rest of the dev team!
. Other than the PMDG 777 (a absolute masterpiece that I know is used by real pilot to practise) there is not a single one that gets even basic non standard stuff right. Nice joke. The PMDG 777 has nothing to do with the real 777 behaviour. Period. Autoflight is very clunky, the autothrust is chasing its target like a wet dog is chasing a three-legged cat all the time and on top of that it flies like on rails and has the ground effect of a sailboat. Good friend of mine flies the 777 for a living and we had a longer discussion about the PMDG rendtion once. Yeah, real thing just doesn't behave like that. Systems are alright though, but not the actual flying bit. Also, stop ing comparing your product to the FSL all the time. If you want to practise a single engine landing with your co-pilot unconscious I would suggest other aircraft add-ons. Couldn't agree more. Never had any desire to be a micromanager, either at my work or in my flightsimming. It's neither realistic nor relaxing to have to flip every switch and push every button. I've tried the "study sims" but always gravitate back to the aircraft that have some form of built-in crew assist - the PMDG DC-6, the Manfred Jahn C-47, the A2A Captain of the Ship airliners and B-17... and of course, the Aerosoft buses. Looking forward to (eventually - take your time!) getting them back in P3D4. Nice way to talk to the forum administrator and PM of many AS products. Which "flying bit" is realistic in FS anyway? At long as we all sit here with Saitek Yokes or Logitech joysticks no real pilot will ever be able to practice any flying with FS. That's simply impossible. Even FNPTs can't teach you flying and those are 100% accurate cockpit representations with real hardware. Heck even Level D simulatiors have clear limits which many TRI's moan about. Flight Simulator addons are nice to get the grips with systems and are "better CBTs". When used as such they can be of great value when you study for your type rating as they show you things "in action" which no usual CBTs or software provided by flight schools can provide. There is a good reason why you need to learn flying with a flight instructor though, even in jetliners, and not in P3D. Well I have to agree. I've seen and used many FNPT's with horrible flight models that only cover basic stuff (and don't even allow things like sideslips or spins, heck even stalls just drop the nose like a brick wthout any buffet). But they are just that, FNPT's = procedure trainers. Same with Level-D's but those are generally much better in pretty much every aspect. What I am trying to say, even with all those "small" and in depth things there are still fundamentals like energy conservation and management, which most addons in FS simply don't do properly. You can't tell me you can fly a 400+ tonne 747 at like 20° alpha, full toga and get a 2000f/pm climb an NOT stall - we've all seen that video where a 747 stalls and goes out with a bang... Some deveopers who have an external flight model do this very well on the other hand. Stuff like energy conservation, sliding and slipping forces, torque effects, lift changes based on IAS etc. are wery well modelled and let's say, pretty authentic. Some developrs just get it, do it right and do it with passion. Others will simply never get it. None of us who fly/flown understand this is a simulation and not the real thing. It's a given. Speaking to everyone... can we please let us end this particular discussion here? It's just not germane. Mathijs' re-post was in regards to development choices rather an a comparison of real life to sim. We simmers know well how Aerosoft works. Especially all of us who bought the Airbus for FSX. That's why I am anxiously waiting for the new Airbus dedicated to Prepar3d v4. I have read this Forum and I really see a good job to be done by Aerosoft. after years of being an Aerosoft customer, I am sorry that FSX in this case is being forgotten ... Anyway, good work continues. FSX is in no way forgotten, Preapr3D simply offers more possibilities which we want to make use of. We always said an FSX version will follow later. In the first post of this topic we outline our schedule which says that the 32 bit versions will come after the release of the A330 for P3Dv4. Many thanks for your reply, I read the post but I was confused it seemed to me who buy for P3D V3 would also have the A319 / 320. From what you wrote to me I foresee that the A330 FSX will be towards the end of 2018, as for the new A319 / A320 the changes will be minimas right? for the clear FSX. Thank you very much for your willingness to respond to me. Just keep in mind that FSX is limited in several ways and we simply might now be able to use all features in the 32 bit platform. Yes I understand. Thanks for your answers. But for those who have invested heavily in FSX, it is not easy to emigrate.